$90 per person in advance or $95 at the door. 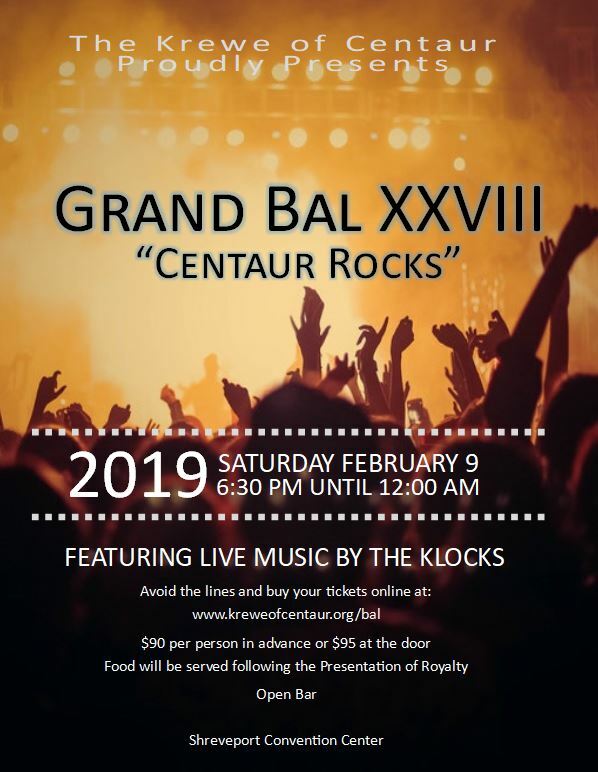 Click Here to reserve your room for the Centaur Grand Bal XXVII now. 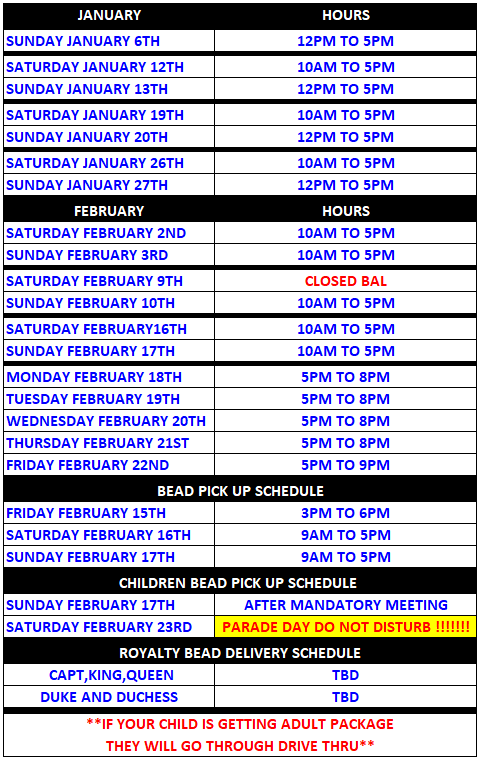 The Bead Store is now open! Say Congratulations to your favorite Royal, Float, or highlight your business or group in the Krewe of Centaur’s Grand Bal XXVIII program. If your ad has not yet been included in the program in past years, don’t get left out again! The Bal program is handed out to every Bal attendee increasing your company’s or group’s exposure to the Shreveport/Bossier area. In addition, all Bal programs are full color and you can provide the Bal Committee with camera-ready artwork or we can create your ad for you. There are several ad sizes to choose from at different price levels in order for you to pick the best option for your company or group. Place you Krewe of Centaur Grand Bal Ad orders HERE.